The popular bar and restaurant from Sri Hartamas expands into Taman Tun territory, serving the establishment's signature blend of food. Taman Tun Dr Ismail residents and workers can now add another food spot to their growing list of places to dine. Opening its fifth outlet in Menara LGB, SOULed OUT will be serving their signature dishes and drinks based on the menu crafted by the original establishment in Sri Hartamas. 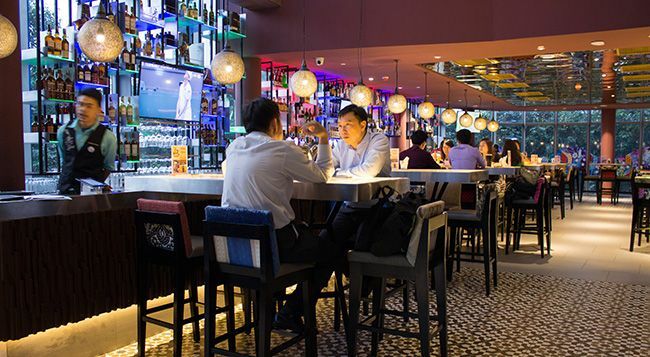 The restaurant's popular eats – fried beef noodles, sizzling lamb cutlet, sake san pizza, freshwater prawn noodles – all mirror the original's, while diners can also look forward to a range of thirst quenching cocktails and alcoholic beverages. Whisky lovers can also look forward to a more extensive drinks menu that feature a more premium selection of the popular spirit. The new outlet in TTDI retains the signature design hallmarks of every SOULed OUT venue, yet manages to establish its own flair. For more information, head over to their Facebook page here or call 03 2788 4118.